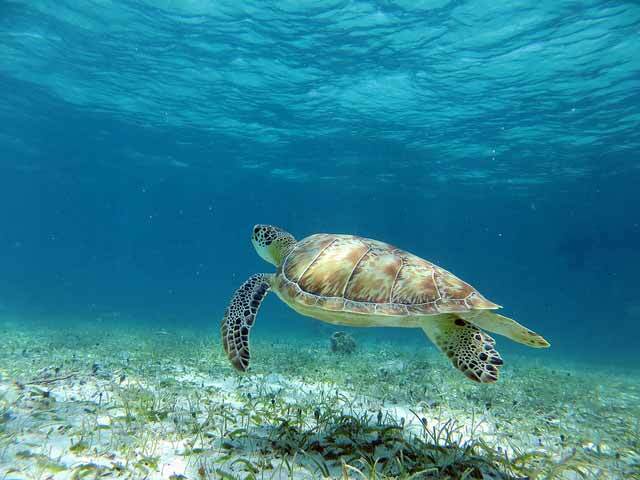 You might catch sight of a sea turtle while snorkeling in Caye Caulker. Beaches on most of Caye Caulker are of the thin, hard variety—don’t expect to find a thick, soft, endless stretch of sand. Still, there’s sand to feel under your toes, and the ratio of crowds versus beach space is favorable, such that finding your own sandy plot of the island is an easy feat. And if you can get past the first few inches of harmless sea grass and don’t mind the lack of wave action due to the mile-distant Barrier Reef, you’ll find the water is just as soothing and in the same jade color of Belize—all in all, a happy compromise. The beachfront is a public area, and if you prefer to jump deeper into the sea to avoid the sea grass, docks are also a dime a dozen, unless marked “private.” Just be mindful of boat activity and stay alert while snorkeling or swimming underwater. The island is relatively small, so finding the beach merely requires going to the front or back areas of Caye Caulker. The best stretch for your towel is the Split area on the north end of the island. Other options for those looking to read quietly is the stretch of beach going along the front side—formerly known as Playa Asuncion—from the arrival dock but going south (turning left). Along the back of the island are smaller stretches of beach, and swimming may be best off a dock, but the views are still lovely. Grab a cocktail at Sea Dreams Resort’s upstairs Banyan Tree Bar or at Iguana Reef and sit by their beach to watch sunset. The reef you see from Caulker’s eastern shore provides fantastic snorkeling and diving opportunities right in your front yard. Snorkeling can be as simple and cheap as renting masks and fins for US$5 per day from one of the tour operators (or bringing your own) and using them off almost any dock. If renting, you may be required to leave your ID behind for the day as security. Note that several tour operators are hesitant to pass out equipment so as not to encourage snorkeling beyond the docks in the protected marine reserves without a guide. You could snorkel at the island’s most popular swimming spot: the Split. It can be crowded with sunbathers and onlookers; avoid the heavily trafficked part and beware, as swimming here can be dangerous because of the pull of the current, which is strong enough to overpower children or weak swimmers. Your best bet is to go around the bend, only a few yards out of the Split, to avoid the dangerous boat traffic. Be mindful where you step or dive at the Split, as old construction materials have been dumped here for fill. To snorkel the reef itself—just a mile away, leaving no excuse not to before leaving the island—boat tours are necessary and plenty are offered for both beginner or advanced snorkelers and divers. Trips can go for half a day or a full day, depending on the excursion, and there are enough to fit all budget ranges. The most popular snorkel and dive sites are Hol Chan Marine Reserve and Shark Ray Alley, Caye Chapel Canyons, and the reefs around St. George’s Caye, Long Caye Wall, and Sergeant’s Caye. A common snorkeling tour package is to Hol Chan with stops at Shark Ray Alley and the Coral Gardens; lunch, not included, in San Pedro; and ending with a visit to the Sea Horse Sanctuary behind the Split. 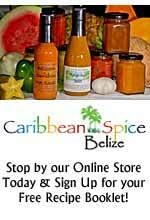 For snorkeling tours, you can rely on the cheerful, capable guides at Raggamuffin Tours (Front St., tel. 501/226-0348), who will take you out on RaggaGal, Ragga Prince, RaggaQueen, or RaggaKing—beautiful Belizean-built boats designed especially to access shallow snorkeling spots. Raggamuffin regularly sails to Hol Chan (full-day trip, US$50, includes lunch and rum punch on board). When there’s enough demand, a snorkel trip is also offered via motorboat to Turneffe Atoll (full-day trip, US$75, includes lunch). Belizean guide and dive master Shedrack Ash offers friendly, professional snorkeling, manatee watching, fishing trips, and night dives through his company French Angel Expeditions (tel. 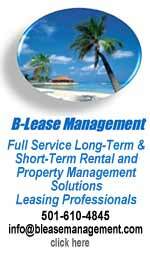 501/206-0037 or 501/670-7506), which gets rave reviews from past clients. Walk straight down the street from the water taxi on Calle del Sol. For a reggae vibe, join Ras Creek on his boat Heritage Cruze, docked at the Lazy Lizard Bar when not plying the reef with happy reggae-crazy customers; this is one of the best ways to tour the Caye Caulker Marine Reserve (US$30). Ras Creek was the first to guide visitors to the Sea Horse Sanctuary behind the split. 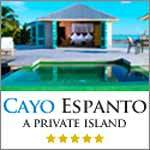 Climb aboard the Gypsy with Carlos Tours (tel. 501/600-1654, [email protected]), which has an excellent reputation for personal attention and a focus on safety. Carlos is the only shop to offer a full-day snorkel tour to Hol Chan combined with a lunch stopover in San Pedro, where you get to eat and explore Ambergris Caye for 1.5 hours on your own (US$50 pp). Carlos loves underwater photography and will share and sell photo CDs immediately after a trip (US$15). His office is on Front Street next to Amor y Café. Two local brothers run Anwar Tours (tel. 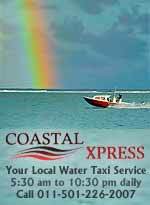 501/226-0327), and with 15 years of experience, they get positive reviews for both snorkel trips and inland tours. Tsunami Adventures (tel. 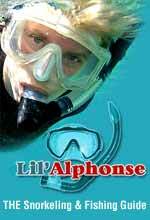 501/226-0462) is located near the Split and books snorkel and inland trips and rents underwater cameras (US$8 per day). 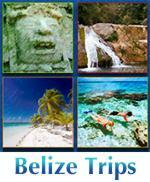 EZ Boy Tours (tel. 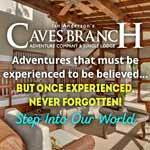 501/226-0349, [email protected]) offers all the standard snorkel tours as well as overnight camping trips and night snorkeling. Many visitors are willing to brave four hours (two hours each way) on a boat in mostly open ocean to dive the Blue Hole and Turneffe Islands or other atoll sites. There is no “best” dive site, as every diver is looking for something different; just be sure to discuss the options before booking the trip, and make sure you’re comfortable with the boat, guides, group size, and gear. Consider whether gear is included in the price or not, and don’t quickly jump on the cheapest package. Caye Caulker has two main dive shops offering similar tours, albeit with slightly varying prices and packages. The main offerings include Hol Chan (US$110-125 for 2 tanks); Blue Hole, Half Moon Caye, and Lighthouse (US$190-255 for 3 tanks); Turneffe day trips (US$125 north, US$150 south); certification courses (US$325-375 open water, US$275-300 advanced); as well as a variety of snorkeling excursions and other trips. Dive master couple Chip and Danielle Petersen run Belize Diving Services (Chapoose St., across from the soccer field, tel. 501/226-0143), with an excellent reputation and an operation that is all computerized and offers both recreational and technical dives at Miner’s Gold and Treasure Hunt dive sites. They also offer weekly dives at the Blue Hole and the atolls thanks to their 46-foot custom Newton dive boat, equipped with showers, ideal for the long ride. Certification courses are available. Big Fish Dive Center (tel. 501/226-0450, [email protected]) is a Belizean-owned dive shop with knowledgeable dive masters and a 45-foot dive boat with a small onboard restroom for farther destinations, such as the Blue Hole. My three dives to the Blue Hole and Lighthouse Reef with them were wonderful and safe. 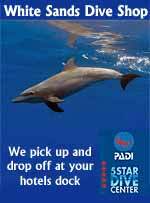 Note that as of 2012 the shop is no longer PADI certified, thus courses aren’t available. 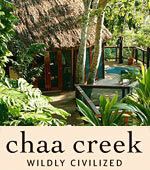 The new way of exploring Hol Chan is to snuba or sea trek with Discovery Expeditions (tel. 501/671-2881 or 501/671-2882, US$68-74, includes hotel transfers but not the US$10 Hol Chan park fee) out of San Pedro. Catch the 8am water taxi over to San Pedro, where you will get picked up for your tour. The experience includes orientation before experiencing depths of 20-30 feet, enjoying marinelife and corals without needing a tank or worrying about being dive certified. Both activities are safe for anyone in good physical condition and older than age eight.